The secret’s out. Mobile forms are beginning to pick up speed. What once was reserved for the top companies, like General Electric, is now accessible to anyone. DIY app online builders have made way for a more affordable, easier to manage system that can work for nearly any industry. Forms are so dispensable, that people are even using them for one-time events. Because the industry is home to so many different online form editors, we thought we’d go over each of them. GoCanvas is a software service that enables businesses to replace expensive and inefficient paper forms with powerful apps on their smartphones and tablets. Canvas enables users to collect information using mobile devices, share that information and integrate them with existing backend systems. ProntoForms is a mobile workflow solution to collect and analyze field data with phones and tablets. Users can easily capture data and submit complete and accurate forms from anywhere in real time, even offline. Pronto’s Form editor is probably one of the nicer looking ones on the market. 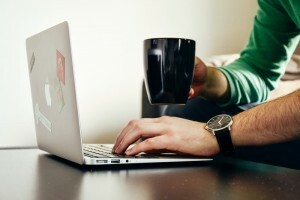 They also have the benefit of having connectors for a lot of the small business software out there. Easily create secure online forms, landing pages, surveys & more with advanced optimization features to increase conversion rates. Formstacks beauty is in their simplicity. The form editor is great for first time users who are intimidated by the idea of creating their first form. They also provide great analytic tools akin to those of Google. Snappii makes custom mobile apps utilizing as many forms as needed. Mobile forms can be of any complexity, collecting data such as audio, video, GPS and more. Because Snappii’s form editor is so robust, it can be used for nearly any industry. Just like Pronto, Snappii has a ‘template’ catalog of ready-to-use apps for nearly every industry. From Fire Extinguisher inspection to Night Club Sign-in, Snappii’s catalog has been the result of years of working with businesses all across the globe. Because Snappii is a mobile app developer, their forms can go beyond the capability of traditional mobile form editors. As your business grows, so will your needs. Snappii compensates for this by enabling users to add ‘features’ to their forms. These can include company-wide reminders, JS/HTML Plug-ins, PDF editors and more. Try out our app editor today and see for yourself. Paper has been a thorn in the business world’s foot for as long as anyone can remember. 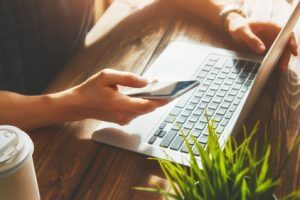 Some businesses have begun to wise up to their paper trail, and have developed mobile forms that provide easier data entry, quicker results and even in-depth analytics. A manager can now run their operation right from the palm of their hand without fumbling around for a pencil. They save on the cost of paper, and the time it takes to file it. If money doesn’t grow on trees, where’s the paper? 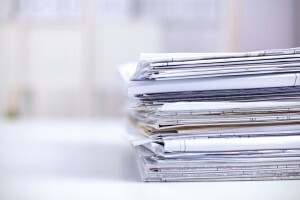 Paper is an easy way to cut cost that companies often overlook. Even on a small scale, paper can put a dent in the companies wallet, and that dent only gets bigger the more the company expands. What’s worst is the amount of time it takes to find something after it’s been filed. 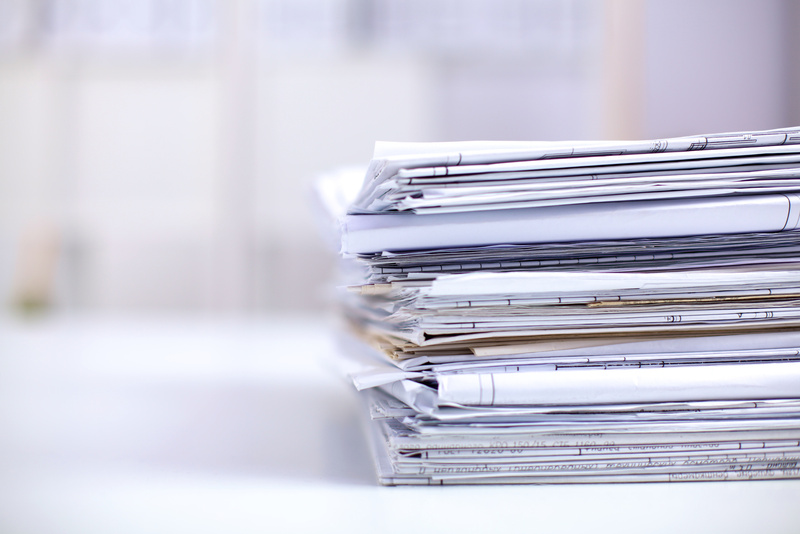 – The average U.S worker uses about 10,000 sheets of paper a year. That’s about 20 reams or about $160 per employee. In other words, paper is probably hurting a lot more than helping. Most papers around the business, whether it’s an auto-repair shop or a hospital, are forms. Businesses revolve around recording data and inputting it into a database. Mobile forms work by eliminating the middleman – data entered through your smartphone goes directly to where and who you want. Is it expensive? Traditionally, smartphone apps take a lot of money to produce. Hiring a coder and programmer can quickly become costly, and can even turn into something you weren’t expecting (in a bad way). You can also upload your form and Snappii’s app builders will convert your first form into an app at no cost. Try it out! Building your own form can be a bit daunting. That’s why Snappii has worked with countless industries to provide a form template for nearly every occasion. Check out our extensive catalog today, and see how easy it is to transform your business (in a good way). 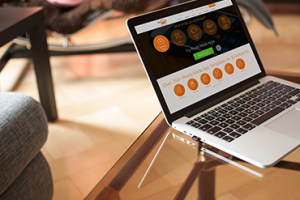 Snappii enables Developing Countries to Deliver Mobile Apps solutions. 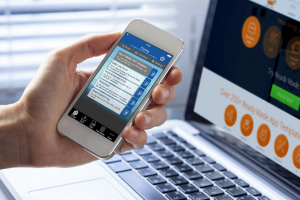 Gartner, a leading American research and advisory firm, recently released a study that revealed “the average proportion of the overall application development budget allocated to mobile is only 10%, which is actually a 2% decline from last year”. “Demand for mobile apps in the enterprise is growing, but the urgency to scale up mobile app development does not yet appear to be a priority for most organizations,” said Adrian Leow, a principal research analyst at Gartner. He later states that the main obstacles are the creation and development process, and the high price that comes with it. There are multiple online calculators which allows users to choose features and calculate the cost of app development. Even with only basic features, the average cost is about a quarter of a million. Clutch surveyed 12 of the “leading mobile application development companies” and found that the median-high cost to developing an app was $171,450, with prices ranging anywhere from $30k all the way up to $700k. As the app needs further development, the cost continues to grow. For a growing business that may seem unattainable, while start-ups will not even consider it. Snappii, a New Hampshire-based company, has been successfully creating powerful business app since 2010. With their new “Express Mode” platform, Snappii puts the user in control, enabling anyone to create their own app in hours, not months. The combination of a codeless platform, along with hundreds of ready-made templates and features, revolutionizes the process and shortens it from several months, to several clicks. Snappii addresses the needs of startups and growing businesses alike, offering a wide variety of solutions for any industry, from offices to construction. The revolution of the app industry is here, and Snappii wants to make it fast, easy and most importantly, affordable. Join us today for a free 15 day trial. Not long ago, custom mobile business apps were available only for large companies able to spend thousands of dollars to hire a team of app developers and designers. Some entrepreneurs still choose this path to mobile app development; others, having discovered codeless app development, build high quality mobile apps themselves, thus saving thousands of dollars and time. In fact, today any business owner can see how app development has advanced and become an active participant of this process. The DIY approach has firmly entrenched in the mobile app industry, and here are several reasons why it is here to stay. 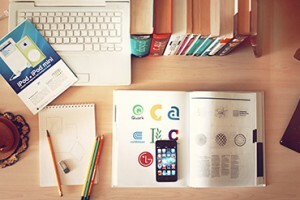 The creation of mobile apps is not just for programmers anymore. 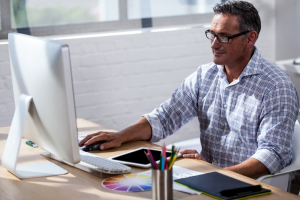 With a special online app development platform, robust but intuitive interface, ready-made templates, and a drag-and-drop editor, this process can be mastered even by a student. For instance, the Snappii codeless app development platform has been recently used by the University of Southern California in a class to teach students to design, create and deploy mobile apps without programming. With the DIY approach, you have total flexibility and control over your app development, can instantly adjust it to the ever-evolving market, and are able to make necessary changes at any stage of the development, like adding more features or changing its design. For example, using the Snappii codeless app development platform, you can create an app in a powerful WYSYWYG editor and instantly see your ready-made product in the Preview App right on your mobile device. Keeping costs down without compromising quality is a common challenge for any business owner. In the app development sphere, it can be easily achieved by employing the DIY approach. Snappii offers its users a 15-day-free trial for app creation and charges a reasonable fee only when your app is ready to be published. Not convinced yet? Try Snapppii’s unique codeless app development for free today and see for yourself. Any company has a thousand of things to worry about daily, while growing competition is pushing them to produce better products and increase efficiency, thus lowering costs and reducing downtime. Business mobile apps are designed to assist them in these by simplifying and accelerating their operations and offering flexibility. One example of how enterprise mobile apps can be successfully utilized is when conducting inspections. Usually carrying out inspections is associated with stacks of paperwork and constant trips between the office and inspection sites. Mobile inspection apps eliminate this excessive paper use and make the inspection process more convenient and efficient. Let us to show the real benefits of mobile solutions by providing a few examples of Snappii’s inspection apps. If your company deals with any equipment, which requires periodic inspections, Quality Inspection App, Construction Equipment Inspection App and Heavy Equipment Inspection App, will significantly increase its lifespan and reduce downtime. Moreover, our inspection apps are particularly useful in data collection and management, allowing inspectors to easily collect all details while in the field, instantly create reports, and then share them or print them out. All the collected information will always be accessible on your smartphone or tablet and can be edited or deleted at any time. The apps also include notification tabs and discussion forums for better communication of employees. Last but not least, a lack of Internet is not a problem for these inspection apps as they can work offline as well. What makes Snappii’s inspection apps particularly special is their 100% customization. Each of the apps can be configured for your company and, in this case, you act as a real app developer. You can make necessary changes yourself by using Snappii’s extremely simple codeless app editor or by ordering customization. Visit Snappii’s webpage and start enjoying all these benefits now! Have an idea for an app? Come and make mobile business app for your business. Our workshop will show you how to make it. QR codes are two dimensional quick response codes that can be scanned by smartphone cameras to instantly pull up text, photos, videos, URLs, etc. Such codes can contain a huge amount of information, which makes them quite popular all over the world. Nowadays many businesses use QR codes as a means of marketing. “QR codes demonstrate just one of the ways in which mobile marketing can effectively be integrated into existing media and marketing campaigns to help reach desired consumer segments,” says Mark Donovan, the Chief Marketing Officer at comScore, Inc.
Scanning a QR code can trigger a range of actions, such as connecting to a website, downloading an app, sending a message or email, adding contact info, and direct purchasing. 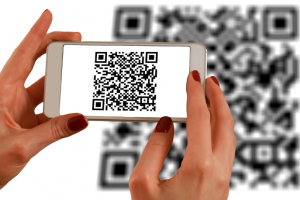 Here are additional ways to utilize QR codes in your business. We all know that to make things easier for your customers means to show concern for them. When placing a QR code on your business card, you give them a quick and ingenious way to reach your website or mobile app with the click of a button, thus saving them time and improving their overall experience. However, it’s important to remember that QR codes are scanned by smartphones, so whatever you link your QR code to should be optimized for mobile devices. QR codes can be used for quick and convenient registrations, sending emails, booking, mobile payments, etc. For example, people can find a QR code at the Pizza Hut website and instantly download its app, thus avoiding visiting the Google Play or Apple App Store. You can track the number of people who have scanned your QR code to identify potential customers and modify your business strategies. Snappii, a rapid mobile business app development company, offers Snappii QR and Bar Code Scanner App, which can become an indispensable tool for both businesses usage and personal needs. It is an ideal app for scanning QR and Bar codes at any time and from anywhere. Moreover, most Snappii’s business apps have the QR code scanning feature. Please visit our website and learn more about various mobile solutions for your business.